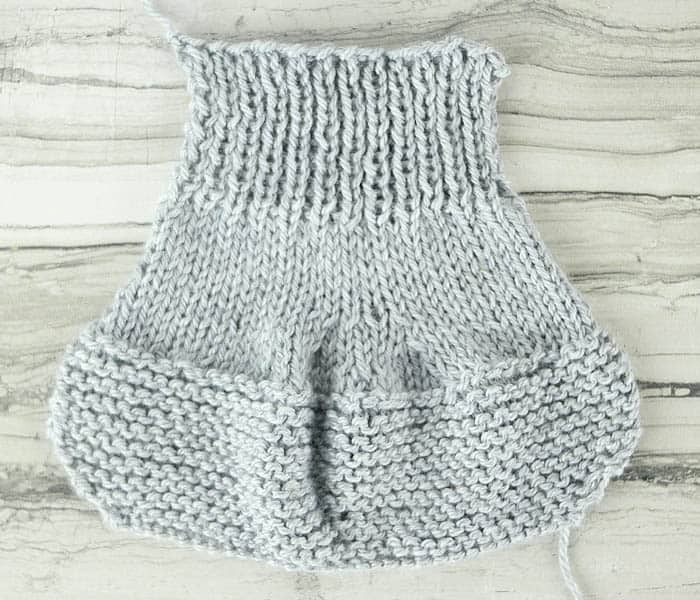 I love knitting baby booties but I don’t love making them on double point needles. For me double point needles and tiny projects usually leads to dropped stitches! 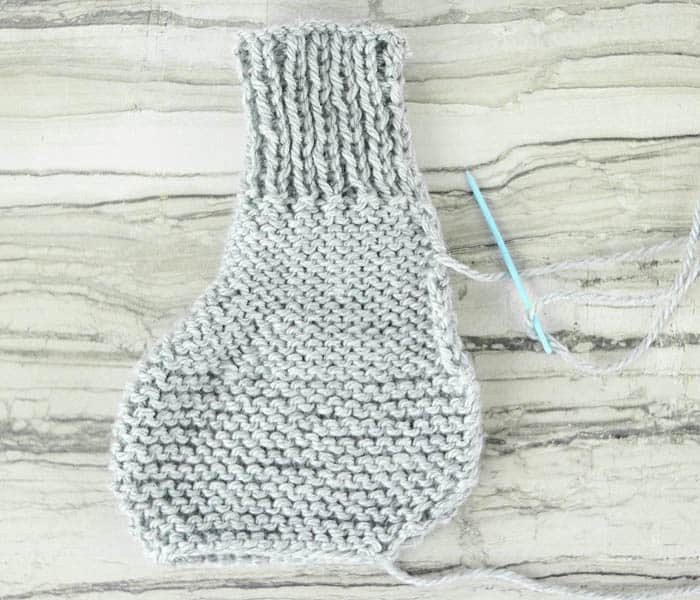 This easy baby booties knitting pattern is knit entirely on straight needles (yay!) They’re very easy to knit and they would make thoughtful gifts. The design is pretty basic- it’s a mix of garter and stockinette stitches. The ribbed band helps these stay on little feet. Happy knitting! 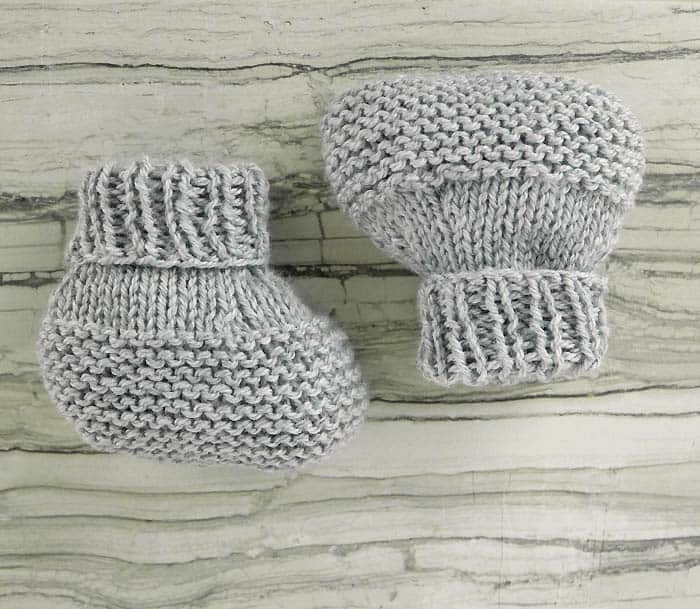 Want more Very Easy Baby Booties Knitting Patterns? Row 8- 13 Knit 5 rows in stockinette stitch. On the last row, knit 2 sts together in the middle 26 (30, 34) sts. K1, P1 for 2 (2 1/4, 2 1/2) inches. Bind off in ribbing loosely. Fold the piece over and stitch the side seam and the bottom seam closed. I dislike dpns as well as sewing up the seam. Will try these on a #4 with a circular needle at some point. Thanks for the pattern.